What is YAH’S FIRE all about? Is it important? If so, How important? 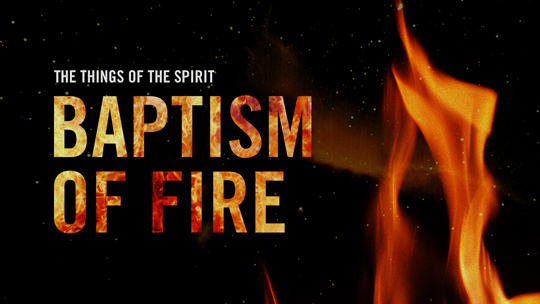 What is Baptism by HOLY SPIRIT/GHOST (a.k.a RUACH HA KODESH) FIRE? Is it required in our FAITH WALK with YAHUSHUA? If so, What is the Purpose? What is exactly HOLY SPIRIT/GHOST FIRE? As YAHUSHUA’S believers and followers, we need the FIRE OF THE HOLY SPIRIT to get through this life on earth. What is the Hebrew word for FIRE”? As seen, the two main Hebrew letters used to form the word are: Aleph and Shin. What is the significance of these letters. The Hebrew alphabet reveals the Messiah of Israel. He is Almighty God, the Conquering King, a consuming fire. The letter shin appears engraved on both sides of the head- tefilin. On the right side, the shin possesses three heads, while on the left side it possesses four heads. We are taught that the three-headed shin is the shin of this world while the four- headed shin is the shin of the World to Come. One of the meanings of the word shin in Hebrew is shinui, “change.” The coal symbolizes changeless essence, the secret of the verse: “I am YAH, I have not changed,” meaning that relative to YAH’S Essence absolutely no change has occurred from before Creation to after Creation. The inner flame is the paradoxical latent presence of the power of change within the changeless. The outer flame of the shin is continuously in a state of motion and change. What is the Purpose of the FIRE OF YAH? Where do we see YAH’S FIRE mentioned in the Holy Biblical Scriptures? 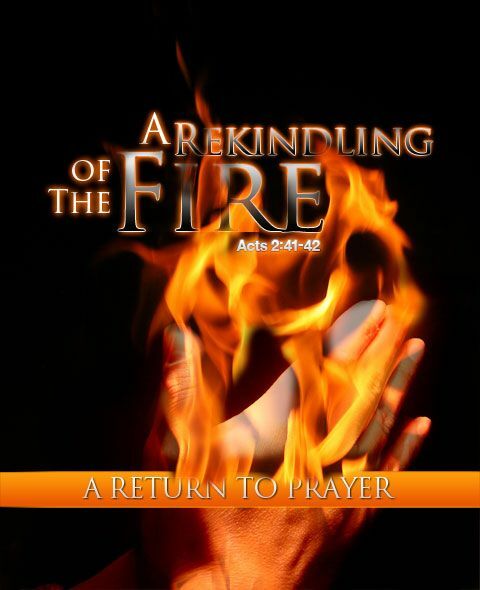 We need the HOLY FIRE OF YAH to purify us, to destroy Satan’s evil plantations in our lives!!! Note that it will be the HOLY FIRE OF YAH that will play a part in creating the NEW EARTH, NEW HEAVENS and NEW JERUSALEM!!! The earth was destroyed by WATER known as the GREAT FLOOD during Noah’s time on earth. After the Great Tribulation, the earth will be and purified by YAH’S HOLY FIRE!!!! A New Earth, New Heavens and New Jerusalem will be birthed after. When we think of light, we often think of light bulbs, turning on the light, no darkness, et cetera. Our western minds quickly go to the most familiar part of what light is to us. But if you lived in the first century, the word “light” brought a single word to mind….fire. Fire was the origin of light in their world; the two words were almost synonymous. Fire is the origin and light is simply the result of the fire’s existence. In this article I would like to share a little of the power of this word and make a few connections to not only the scriptures but also to how it can apply to our lives. Light, or fire, is the central focus of the story during the Festival of Lights, better known as Hanukkah, the time when the Messiah was conceived. This focus hones in on the cleansing of the temple following the Greek occupation and bringing back the golden menorah to once again light it. As believers, we all need to kick the enemy out of our lives and do our best to keep our temples clean and the light of God shining bright. That’s what causes us to emanate light to all those around us. It’s the “fire of God.” So let’s take a look at this fire and see if we can’t track it through scripture. The first place I’d like to go is Exodus chapter 3, the infamous burning bush. When this scene takes place, the people of God had been without any communication from Him since they’d gotten to Egypt over four hundred years earlier. They’d forgotten who He was and even forgot His name. God decided to reintroduce Himself to His people through Moses at this burning bush. Let’s take a look. QUESTION: Why did Yahweh decide to introduce Himself through a burning bush? What was the point of the fire? Would it not have still completely flipped Moses’ lid if He would have started talking through a rock or even one of the sheep? Or even just the bush itself? Why the fire? What is He saying by choosing these symbols? We know He’s a great teacher and is constantly using creation to teach us things, so what is He trying to teach us here? In this passage, Yahweh is connecting His “holy ground” and His very presence to two items: fire and a certain kind of bush or tree. And this is not the first time that God personifies Himself as fire. In Genesis 15, when He makes the covenant with Abraham, He passes through the midst of the pieces of the covenant as a smoking oven and a burning torch. Smoke and fire. Then He introduces himself to Moses in the same way. Then the first time He introduces Himself to the children of Israel it is again through fire and smoke. His very presence is connected to spiritual fire that produces spiritual light. He’s telling us that the presence of God is found in the fire of God, which, in turn, produces the light of God. Incredibly, we even know when this light first entered our space-time continuum. We know that the sun, moon and stars do not get created until the fourth day. So what is this light that is created on the first day? The sages say that it is none other than the light of the Mashiach. This was the moment that the Light of God, the “Word” of John 1:1, was brought into our earth realm. It would be that “Light,” that celestial fire of God, that would begin to tabernacle among men in the form of fire and the Angel of the LORD, and it would be that same fire that would eventually take on a different form. It would not be fire, but flesh. The fire of the living God would now walk among us and teach us how to be the light of the world. It would be His fire that would light our temples for all the world to see. Let’s move on over to Judges and see if we can’t discover a connection between how God reveals Himself to Moses in the burning bush and this parable about the trees. In it, the setting is the city of Shechem. This could not be more fitting as Shechem, meaning “between the shoulders,” is rich with historical significance. It is the very first place that Abraham set up an altar to the Lord when he came into the Promised Land. It was in Shechem that Jacob purchased some land that his sons used to feed the flock. Jacob also built an altar there. Joseph was buried here. And this is the very place where half the tribes of Israel stood on Mt. Gerezim and the other half on Mt. Ebal (the two shoulders) while Joshua charged them with the covenant of Yahweh when they entered the Land. This spot is THE place where the covenant was made and reaffirmed. The valley between the two shoulders (mountains) was the very heart of Shechem. And it is from this place, this Messianic prophecy of the future reign of the Messiah, that the parable of the trees is told. Let’s read it. As most of you know, trees represent people in scripture. So none of the trees (people) wanted to be king over the rest. They each had their own selfish agendas and reasons for not wanting that position. But the bramble only asked that they take shelter in its shade, for if they did not, the FIRE would come out of it and consume them. Ladies and gentleman, it is not by accident that fire is referenced here and that it’s coming out of the bramble tree. If you go to Israel, what you will discover is that the bramble tree is not a very big tree at all. Actually, most trees in Israel are what we in America would refer to as oversized bushes. The bramble tree is about 10-12 feet tall and its limbs come down almost to the ground. You have to know this for the story to really come to life. QUESTION: If the bramble is the king of all the trees, it has to be treated like one. And what do you do when you come into the presence of a king? But why did that fire have to come out of the bramble? Because fire is the presence of God, and anyone who does not come to the King and bow in humble submission to Him will be consumed by Him. Remember the two sons of Aaron who were destroyed by fire because they came before the King profanely? Our God is an all-consuming fire. His spiritual fire consumes all that stands before Him that is unholy. This is why Moses had to take his sandals off when standing before the burning bush. Exodus 3:2 says that the Angel of the LORD appeared to Moses through the “burning bush.” But was it really just any old bush that God chose to speak through or was He very careful in which kind He chose? A deeper look into the Hebrew shows us exactly what kind of tree it actually was. And knowing that will tell us exactly why He chose that tree to begin with. The Hebrew word for “bush” in Exodus 3:2 is “seneh.” Even the Strong’s Concordance states that a seneh is literally a bramble bush, a thorny bush. This is amazing to me as the burning bush was, in fact, the very bramble tree from Judges, the tree that rules over the entire earth as Messiah! The Angel of the LORD was not speaking from just any old tree. We can track it to be the very Word of Yahweh that comes in human form as Yeshua. God was actually choosing this tree because prophetically, it is this tree that will be used to cover the brow of the King of kings, who is prophesied to be the ruler of the whole earth, making the physical bramble tree the most important tree that has ever lived. The fire of the living God would come from an unloved, thorny bush that was mainly used for kindling. Kindling is used to start fires. And what a fire was started when the King rose from the grave so many years ago! Now that we know that the fire of God is His very presence which purifies, protects, and judges, we can now make sense of many more familiar scriptures such as the pillar of fire that led the Israelites in the Wilderness. That spiritual fire that surrounded the Most High was none other than the presence or, in Hebrew, the paneem (face) of God. It was His presence that would guide them through the difficult Wilderness journey. It helps us understand what really happened on Mt. Carmel when the fire of God came down and consumed the sacrifice and the water around it for Elijah. It was the glory and presence of His very nature that came and purified, protected, and brought power to the situation. It explains for us why the chariot that took Elijah up in a whirlwind was a chariot of fire; the presence of Yahweh had fully consumed him. The flaming swords that protected the Tree of Life in the Garden? Why fire? They were yielding the very presence of God in the form of swords. It was the essence of the Creator in the swords that gave them authority and power. And it is on this last note that I would like to expand a bit as we travel this subject into the Brit Hadahshah, the New Testament. The significance of this topic finds its gravity in the third chapter of Luke. Have you ever wondered why “fire”? It’s the same fire from the first day of Creation that reintroduces Himself at the burning bramble bush, with the chariot of fire…all the way until here in Luke where John, who understands this fire completely, tells us that the blazing sword of the Garden has come. Where John immersed people in water, Yeshua would immerse those who would call on His name with the very presence that comes from the inner chambers of the temple in the heavens. The very “face” of God would no longer be found on the outside, like a pillar to be followed, but would now reside on the inside of this newly-resurrected temple, giving us direction from the inside. A fire that no one can quench but the person themselves. This new temple is beautifully exemplified for us in Acts chapter 2. The disciples are in the famous upper room on Shavuot/Pentecost and the Holy Spirit comes in like a rushing wind and fills the room. Then there appeared to them divided tongues, as of fire, and were all filled with the Holy Spirit and began to speak with other tongues, as the Sprit gave them utterance. And there’s the fire again! The same fire that hovered over the Holy of Holies in the Tabernacle in the Wilderness, declaring the legitimacy of the habitation, is now hovering over the originally-intended tabernacle of the actual person, declaring once and for all that this is where the Holy One desires to live. The sign of His presence was once and for all given to all those who believed. Above all, taking the shield of faith with which you will be able to quench all the fiery darts of the wicked one. And take the helmet of salvation, and the sword of the Spirit, which is the word of God. This scripture comes right after verse 12 and tells us that we do not fight against flesh and blood but against the evil ruler in high places. And what does it tell us that we need to use to fight against them? The shield of faith and the sword of the Word of God. The sword of the Spirit is the very same fiery sword that was given to the angels in the Garden of Eden to protect the Tree of Life! The sword of the Spirit is the tongues of fire that baptized the disciples in the upper room. It is the word of the Living God! It is the TRUTH, which brings the presence of God into the earth realm so that it can purify, protect, and give power to all it comes into contact with. When we know the Word, we have, in effect, more of the fire. When we know His heart, we are given the authority to actually use the fiery sword. A person that knows the truth but does not know the heart of God behind it is playing with “fire” and is very dangerous. In conclusion, to “be on fire for God” is to be in His presence and to yield to the Holy refinement that comes with His presence. Whether He is choosing to refine you from a well-furnished penthouse in Manhattan or from within the walls of a prison, if you seek His face, you are seeking His presence. If you are seeking His presence, you are asking for His fire. If you are seeking His fire, then you should not think it strange when you begin to feel uncomfortable. For those that choose to come close to the very face of God might get pricked by the bramble thorns that are against his brow. Be a light to your world. Let the power and the love of His fire penetrate you to the core and may His presence draw all those around you to bow before the Tree of trees.